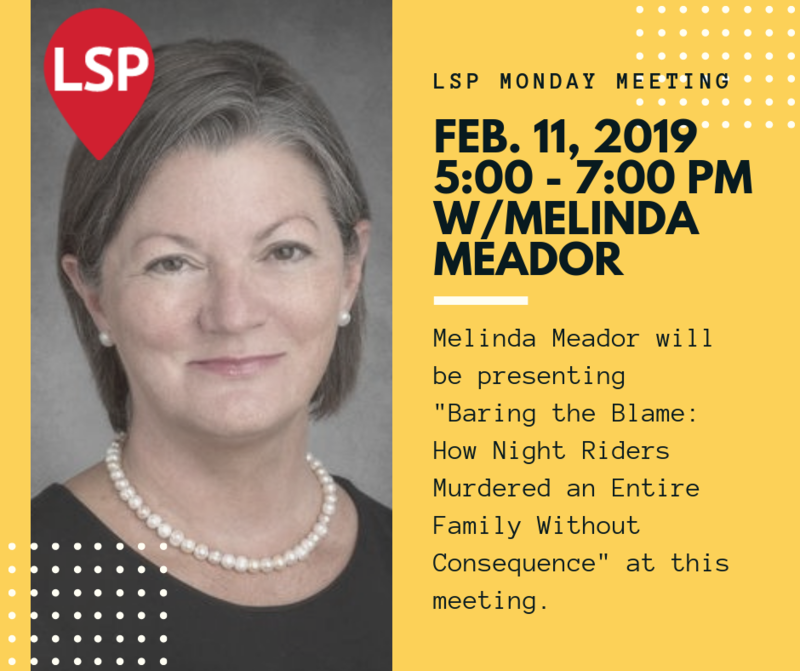 Melinda Meador will be presenting "Baring the Blame: How Night Riders Murdered an Entire Family Without Consequence" at this meeting. This talk is an overview of the Dave Walker case, a lynching that occurred in the border counties of western Tennessee and Kentucky in 1908. Ms. Meador is an attorney in North West Tennessee, specializing in Agriculture Law, Business Law, General Legal Practice, Family Law, and Criminal Law.